The German Surgery Foundation (DCS) as a non-profit foundation supports the IMC WIKI® to allow free access to university medical knowledge. 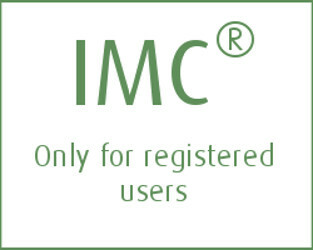 If you use this offer regularly and are willing to help us further develop the IMC WIKI® and keep it up to date, we appreciate your financial support. Thank you very much in advance. around 400 BC Hippocrates was among the first to describe dental irregularities. 25 BC – 50 AD Celsus (in Rome) recommended the removal of milk teeth once the permanent teeth have erupted, and the straightening of crooked or irregular teeth by pressure exerted with the finger. 129-199 Galen was among the first to suggest possible treatment measures, and to describe the filing down of teeth if space was lacking. 1619 Fabricius described the extraction of teeth in case of crowding. 1678-1761 In 1728, the surgeon and dentist Pierre Fauchard published his book "Le Chirurgien Dentiste". It is considered to be the first major description of dentistry; the second edition was published in 1746, and the third one in 1786. In 1733, the book was translated into German. In 1728,he described a labial arch made of ivory for use in orthodontics. a rédressement forcé using a "pelican", including interproximal polishing and splinting of the tooth with a follow-up treatment bringing about the desired result within a week. In addition to this quick method, he also described a slow method, thus moving teeth using dental ligatures made of threads that were fixed to plates, and ribbons made of precious metal. For oral hygiene he recommended the use of a cloth or linen rather than a toothbrush since frequent use of the latter would, in his opinion, ruin both the teeth and gingiva. Another combination he recommended was a soft sponge used with lukewarm water and a fourth part of aqua vitae. 1722-1766 Phillip Pfaff was a surgeon, dentist and the court physician of Frederick the Great. He wrote a "Treatise on the Teeth of the Human Body and Their Diseases" and was the first to describe the taking of impressions using sealing wax; he denies that milk teeth have roots (sections in child material were unusual; therefore, he described milk teeth as he saw them following absorption) and warned not to use hard toothbrushes the use of which he recommended no more than once every fortnight, if at all. 1728-1793 John Hunter was a surgeon, inspector-general of hospitals, surgeon-master of the military, and the vice president of the London College of Veterinary Surgeons. He was one of the most important English surgeons and anatomists. He also worked in orthodontics and found out that milk teeth do have roots (his was the first realistic image with descriptions of root shapes and numbers) and that teeth, once they have erupted, no longer grow in width but that crowding is the result of tooth movement. He determined that milk molars are bigger than pre-molars but milk front teeth are smaller than permanent teeth. Furthermore, he conducted investigations on the growth of animals, using pigs' mandibles. A metal ring was inserted at the front edge of the ascending mandibular ramus in order to assess movement during the growth process. Due to the apposition at the front edge and absorption at the hind edge of the mandible, the ring moves towards the center. He also conducted investigations in the field of extraction therapy (extraction requirement of the six year molar). In addition, he used an inclined plane made of silver in the anterior tooth-bearing area of the jaws in order to treat prognathia. A cloth that was bound around the head served to increase the exerted pressure. 1750 John Hunter used a metal arch with ligatures for the correction of dental irregularities. 1771 Adam Anton Brunner (1737-1810) was the first to use an inclined plane. Early 19th century Joseph Fox (1776-1816) wrote his "Natural History of the Teeth". His major interest was dedicated towards the etiology of dental irregularities and malpositioning. He classified types of anomalies and described various treatment devices. Friedrich Christoph Kneisel (1797-1887) wrote the 21-page "Der Schiefstand der Zähne, dessen Ursachen und Abhilfe einer neuen, sicheren und schmerzlosen Heilmethode" [Dental malpositioning, its causes and remedies using a novel, safe and painless method]. 1808 L. J. Catalan (1776-1830) also propagated an inclined plane as his own construction. 1815 Christophe Francoise Delabarre (1784-1862) described ligaments with attachments. He tried to find reasons for irregularities and established a system for their treatment. He considered the preservation of milk teeth especially important, and realized the significance of the six year molar. 1840 Christopher Starr Brewster (1799-1870) described a regulatory plate made of caoutchouc. 1841 In his book "Nouveau traite de l'art du dentiste", Joachim Lefoulon was the first to use the term 'Orthodontia'. He used an elastic gold archwire on the palatal side to treat crowding. Since this wire, in the orthodontic sense, not only straightened teeth but also had a shaping effect on the alveolar process, the first step towards "orthodontics" was taken. In his book "Précis sur le Redressement des Dents", J. M. Alexis Schangé (1831-1904) described an adaptable band clamp that was fixed to the tooth using a screw; he was probably the first to realize that treatment should be followed by a period of retention. 1842 Georg Carabelli (1788-1842) and William Henry Dwinelle (1819-1896) were the first to use screws; Carabelli presented a novel Classification of types of occlusion, which was highly regarded in the German-speaking world for quite some time. 1846 Claude Lachaise (1797-?) and Elisha Gustavus Tucker (1808-1895) were the first to use the elasticity of rubber straps for orthodontic purposes. 1848 Joseph Linderer (1809-1913) published a classification of anomalies and showed a great number of orthodontic appliances in his orthodontics report. 1859 John Tomes (1812-1895) was the first to show remodeling processes in the alveolar bone with bone absorption in the direction pressure is exerted, and bone apposition on the side of relief. 1839-1913 John Nutting Farrar (1839-1913) realized that there are physiological limits for regulatory forces. He preferred intermittent forces to permanent pressure. 1855-1930 Edward Hartley Angle (1855-1930) ) initiated a novel approach towards orthodontics. In 1887, , he published a first classification of bite anomalies in his "Notes on Orthodontia", with occlusion being the focus of his diagnosis. Angle based his classification in the constant condition of the maxilla including the six year molar on the sagittal plane. In 1908, his "Anomalies in dental occlusion" was published in German. In 1899, the Angle School of Orthodontia was established in St. Louis. Strict prohibition of extraction in orthodontic treatment (maintained up until the 1940s in the US). However, there were cases of recurrent disease because of this prohibition; therefore, it was loosened after Angle died. Introduction of expansion devices. According to Angle, every tooth has its position in the denture. He determined that the mesiobuccal cusp of the upper six year molar is always positioned correctly, resulting in his classification of dental anomalies in the three "Angle classes" (neutral, distal, and mesial bite). Introduction of photography into orthodontics (due to his friendship with an arts professor) in order for dentists to develop a view (documentation and experience), though not for diagnostic purposes. 1866 Norman William Kingsley (1829-1913) introduced a kind of headgear (extraoral traction device) for the treatment of malocclusion that moved the upper front while at the same time giving support using a headcap. Angle and Case described the use of similar appliances. 1881 Walter Harris Coffin (1853-1916) introduced a method of regulation and developed a model made of cautchouc plates and a spring made of piano wire (expansion plate). 1885 E. W. E. Magill cemented strips made of platinum, gold, nickel silver, or silver onto the teeth. 1887 Victor Hugo Jackson (1850-1929) developed removable soldered wire appliances. 1895 Calvin Suveril Case (1847-1923) demanded that teeth be moved for regulation purposes. 1893-1966 Georg B. Crozat (1893-1966) developed a universal wire device that has been rediscovered for use in recent times. 1906 Edward Hartley Angle described the use of rigid expansion arches with a strength of 1.4 mm (basic E-arch). 1908 Calvin Suveril Case (1847-1923) recommended occipital anchoring for the correction of inter-maxillary relations. 1913 Edward Hartley Angle was the first to use guidance brackets for the arches in his ribbon arch system. 1916 J. A. W. van Loon (1876-1940) introduced the first feasible cephalometric procedure. He used face masks in order to put the jaw models in relation to the face. 1917 John Valentine Mershon (1867-1933) introduced the lingual arch with soldered-on springs. 1919/21 Paul Wilhelm Simon (1883-1957) used the gnathostat procedure to reproduce jaw and facial relations. 1926 Edward Hartley Angle introduced the edgewise mechanism using a square outer wire (0.022 x 0.028 inches) in a horizontal bracket slot. The mechanical principles of this technique were so fundamental that the majority of modern treatment systems are still based on them. Mid-1920s Karl Häupl (1893-1960) and Viggo Andresen (1870-1950) together laid the foundation for the treatment of malpositioned teeth and bite anomalies; their "Norwegian system of orthodontics" revolutionized this discipline. 1928 Ketcham observed root absorption in overloaded teeth when rigid and strong wires were used. 1929 B. Kjellgren (1896- 1981) propagated the serial extraction of teeth. 1930 Charles Frederick Leopold Nord (1887-1978) recommended removable plate devices and developed the active plate. 1931 Birdsall Holly Broadbent (1894-1977) (USA) and Herbert Hofrath (1889-1952) (Germany) developed (independently from each other) the teleradiography procedure. Arthur Martin Schwarz (1887-1963) determined that orthodontic forces must not exceed capillary blood pressure. 1936 Oppenheim developed a system of extra-oral traction devices and re-introduced them in the US. Alfred Kantorowicz Schwarz (1880-1962) and Gustav Korkhaus (1895-1978) constructed the active plate introduced by C. F. L. Nord. 1937 Joseph E. Johnson (1888-1960) developed the twin wire arch. 1940-1955 Tweed introduced novel treatment techniques preferring, above all, extraction to the transverse expansion of dental arches. 1947 Klöhn used his cervical headgear for early treatment. 1952 E. Storey and R. Smith developed the light wire technique. 1955 Orthodontics was made an obligatory subject (the fourth core subject) which was also examined in German universities. 1956 P. Raymond Begg (1898-1983) universally expanded the light wire technique using multiband appliances.